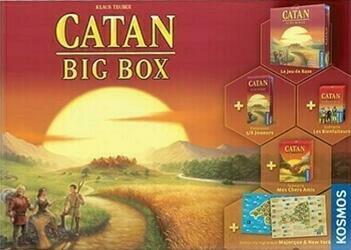 The Catan Big Box contains the classic board game, as well as expansions that can play up to 6 players! You will also find scenarios that change the basic rules and offer new possibilities (My dear friends and benefactors), but also mini-expansions with geographical theme ... Catan in New York, which never dreamed? Complete, unpublished in French, this Big Box is the pleasure of the fans of Catan, as of those who would like to discover it!